That is proving to be the current reality in Boise Valley and elsewhere in Idaho, too. 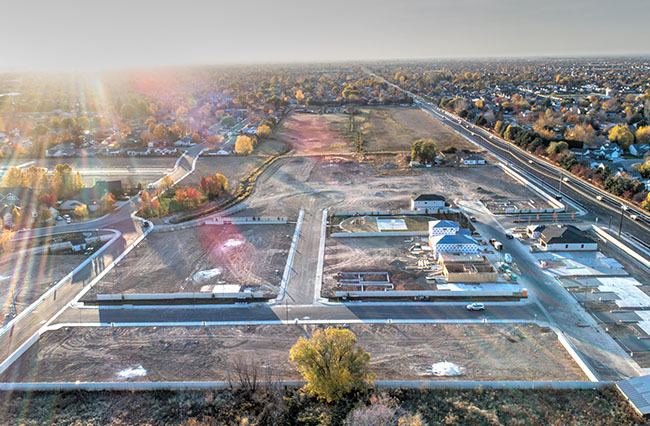 New neighborhoods are emerging virtually overnight. Small infill projects are taking shape in areas that were previously overlooked. And out-of-state buyers are finding Boise is a great place to call home. To accommodate the influx, developers and builders are creating more housing options than in years past. In fact, Idaho leads the nation in single family permits, posting a 101.6 percent increase from January 2017 to January 2018, as reported by recent U.S. Census Bureau Data referenced in an IdahoRealtors.com post. New home prices are on the rise, too. Ada County Association of Realtors (ACAR) reports the 2017 median price for a new construction home in Ada County at $339,241. Their February report reflects that median price increased to $362,587 in only two months.